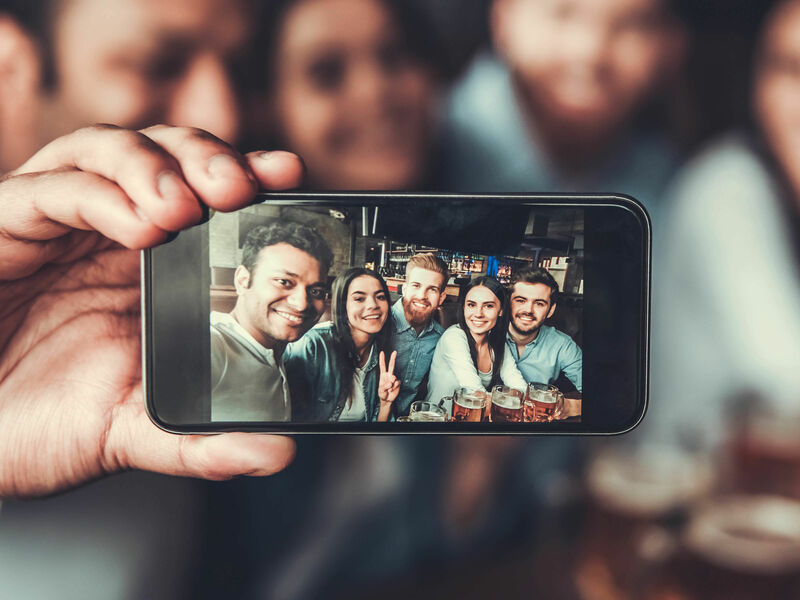 The Smartphone Pub Treasure Hunt has been purposely built for birthday party groups to enjoy your chosen location whilst enjoying a social drink or two en-route. With fun challenges, pub trivia questions mixed with the odd drink makes for a super sociable birthday party activity. 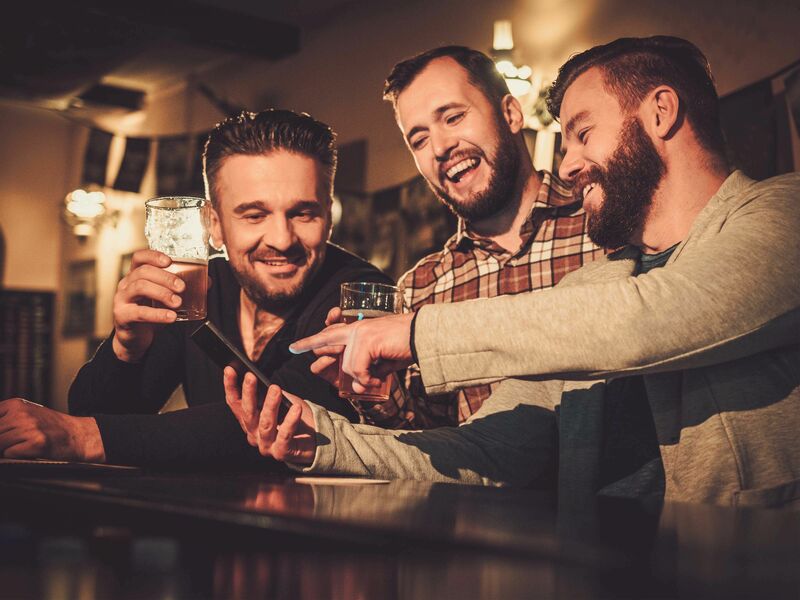 Combining both a treasure hunt and pub quiz while using the latest GPS and smartphone technology this is the one of the biggest birthday party activities of the year! You choose on the day when to start the activity, create teams and take some team selfies. 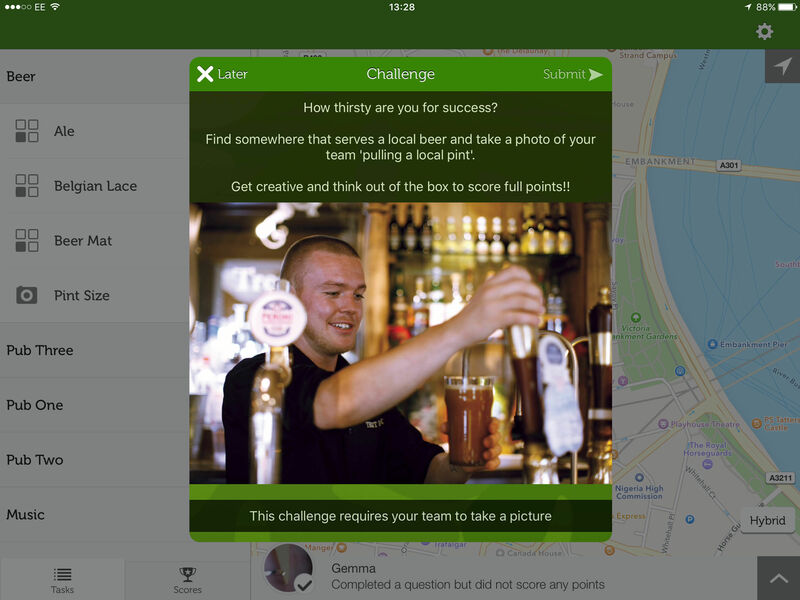 Then set off to different city GPS location to unlock your clues, pub quiz and challenges. You choose the bar/ pub to complete the trivia. The group will be required to take group photos, videos and complete team challenges whilst enjoying a few drinks on the way round. Accessing the live scoreboard your team can see how everyone else is scoring, their location and you’ll even be able to message them funny comments. *Please note that this is a self-managed and self-run activity and that participants are required to purchase their own drinks during the activity. We accept no respon­sibility for any individual's drinking or any incidents associated with this! Please drink responsibly!